On July 20, 2012, I woke up to news of the horrific shootings that took place at the movie theater in Aurora, CO. In the wake of this carnage, we are left with the question as to why this happened? What would possess a person to commit such a monstrous and cowardly act? It immediately took me back to a heinous crime that occurred more than 30 years ago on August 19, 1978, at 8:21 p.m. inside a packed theater, not in the US, but in Iran. I was sixteen and spending the summer with my grandmother in Nishapur, in northeastern Iran. That evening, alongside hundreds of moviegoers, I was watching a film at our family-owned theater: Cinema Iran. My grandfather, an Armenian who had escaped the Russian Revolution of 1917 and made Iran his home, had built the town’s first Cinema, showing films from around the world, dubbed into Farsi. On that warm summer night, thousands of miles away in Abadan, a city in southwestern Iran, around 430 people were watching the controversial Iranian film Gavaznha (The Deer) at Cinema Rex. When I woke up the next day, it was to news of a devastating fire at Cinema Rex and learning that over four hundred people had perished. That morning, shaken and distraught, we gathered in my grandmother’s living room and joined the rest of the country in mourning. The initial reports of the fire placed the blame on faulty electrical wiring and the air-conditioning system. Additional stories reported that the exit doors to the theater were locked, trapping everyone inside. Newspaper reports wrote of a Good Samaritan with a pick-up truck who had offered to break through the entrance door, but was stopped and turned away by the police. Firefighters arrived at the scene nearly half an hour after receiving the distress call, only to find little water in their tanks. In the end, everyone stood helplessly outside the theater while hundreds of innocent people, trapped inside, died. The circumstances surrounding the fire and the incompetence of the police and rescue workers did nothing but raise the public’s suspicions. Since no one trusted the Shah’s state-run media, Iranians spun their own theories and soon two camps of public opinion formed. One camp accused the Islamic fundamentalists (who opposed the Shah and his regime and all forms of entertainment, e.g. the cinema) and the other pointed the finger at the SAVAK, the Shah’s secret police, for having orchestrated the fire in order to blame the fundamentalists and paint them as heartless militants. Regardless of who was responsible, the Cinema Rex fire was by far the worst act of terrorism in modern history pre-9/11. As a teenager, the news of the 70’s was of wars and revolutions, and terrorist acts carried out by the IRA, the PLO, the SLA, the PFLP, the Red Brigade, and a host of other groups who went about terrorizing the innocent with bombings, high-jacking planes, hostage crisis (Munich Olympics), kidnappings and murders of politicians (Aldo Moro, the Italian Premier), officials (45 members of the OPEC) and children (J Paul Getty Jr. and Patty Hearst) of the super wealthy. But an act of terrorism so close to home had me shaken to the core. What would stop those who had set Cinema Rex on fire from not doing the same to other movie houses in Iran? In the days and months before the Shah’s overthrow, supporters of the Ayatollah Khomeini marched the streets of Iran’s cities chanting angrily and blaming the country’s moral decline on the debauched lifestyles of people influenced by subversive art forms such as the cinema. Fooled by the naïve optimism of my teenage years, I brushed aside my fears of doom and gloom, convinced that the fire at Cinema Rex was an aberration with little or no chance of replication. 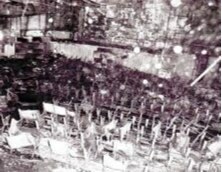 On Christmas Eve in December 1978, a mob chanting anti-Shah slogans set fire to Cinema Iran and my grandmother’s home. The fire destroyed the theater and our ancestral home. 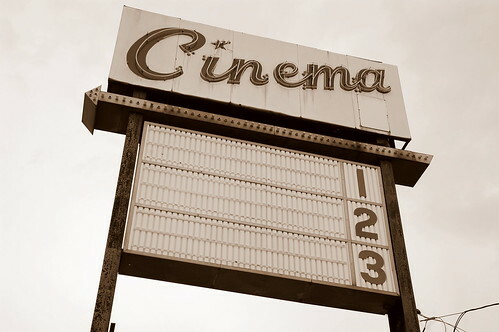 Fortunately, the attack on the Cinema occurred late into the night when the theater was closed and no one was inside. My grandmother was hundreds of miles away in Tehran with my parents and younger brother while I was in college in America when this happened. 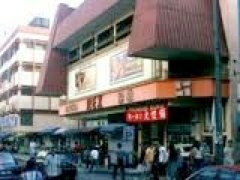 Soon after hearing that the Cinema had been burnt to the ground, my grandmother died of a heart attack. The burning of cinemas in Iran became a symbol of the Islamic Revolution’s slash-and-burn war against the Shah’s regime, leading to its overthrow in January 1979 and ending Iran’s centuries’ old monarchical dynasties. Soon after installing the Ayatollah Khomeini as Iran’s Supreme Leader, the Islamic Republic waged its class warfare with merciless vengeance against anyone seen as a supporter or sympathizer of the Shah and the Western world. The new government, determined to blame the corrupt regime of its predecessor for the Cinema Rex fire, set about apprehending the arsonists. An army officer was arrested, accused of the crime and summarily executed. On hearing the news, the real perpetrator (one of four), an Islamic militant, came forward and turned him self in to the authorities. It was as had been speculated earlier; the fire had been the work of four Islamic activists who had carried out the deadly mission as part of their allegiance to Khomeini and the Revolution. Only one of the arsonists had survived the fire. He had remained in hiding until he could stand his anonymity no more. He confessed to the crime because he could no longer sit and watch someone else getting the credit for what he saw as the ultimate act of sacrifice for the Revolution. But the killing of four hundred innocent people, regardless of the zealot’s impassioned religious beliefs and loyalty to the Revolution, was something that the Iranian public was not willing to forgive and forget. In 1980, the Islamic Republic’s nascent regime (which had embraced other revolutionaries for rising against the Shah by seating them in positions of power and elevated those who had died for the cause as martyrs of the Revolution), under public pressure, condemned the lone surviving terrorist for the murder of over 400 people and ordered his execution. In his recent Op-Ed in the NYT, David Brooks cites there were at least 11 spree killings in the 1990s, and at least 26 over the past decade. He writes: “When you investigate the minds of these killers, you find yourself deep in a world of delusion, untreated schizophrenia and ferociously injured pride.” We may never know what drove James H. Holmes on his shooting rampage at the movie theater in Aurora, CO. But like those who set fire to Cinema Rex in Abadan, thirty-four years ago, the shooter in Aurora may have been delusional and driven to commit the horrific act of violence for fame and recognition. And rampage killers set on a destructive path will use any means to get there, whether with an arsenal of weapons or a can of gasoline and a match. But just as I was losing all hope in humanity, I came across an inspiring blog by Mark Morford that I encourage you to read here, “A deadly rampage of shocking kindness”. He writes of a tweet sent by a young woman, Helle Gannestad, after last year’s horrific massacre at the youth camp in Norway. She wrote: “If one man can cause so much pain, imagine how much love we can create together.” Her tweet has “become a bit of a national sentiment of Norway,” a sentiment Mark imagines “echoes all the way to Colorado, and beyond.” I know it is already resonating in my heart.